Wow! What a crowded day! I got lot of pictures today and met up up with some people from last year. I’m going to combine Day 1 and Day 2 pictures and post them tomorrow evening. Like most people, I spent 3.5 hours in line waiting under the hot sun for my badge before walking around. My brain is pretty fried, so I need a little rest tonight to be there bright and early for Day 2. As always, drop me a line here if you want to book some photo shoot time over the next few days of the con! 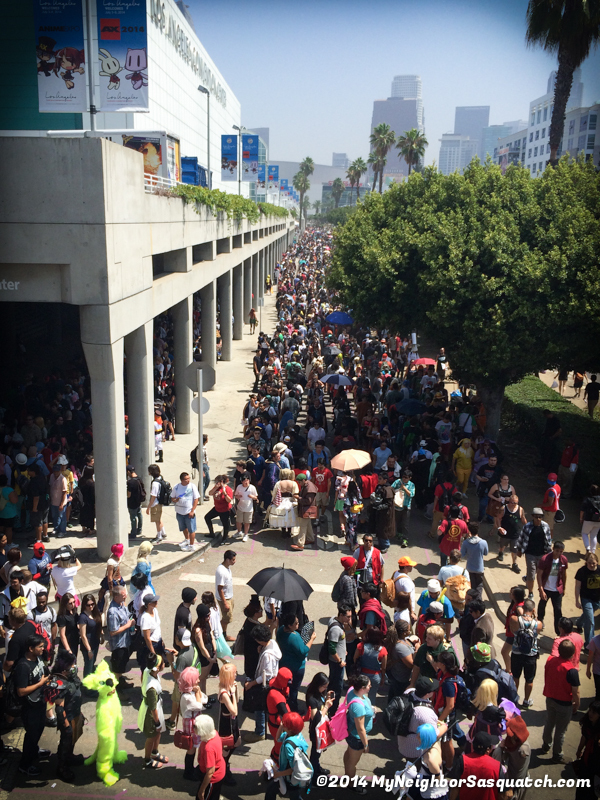 This was the 3.5+ hour wait in line to get our badges. I still had fun in line talking with everyone! See you tomorrow! 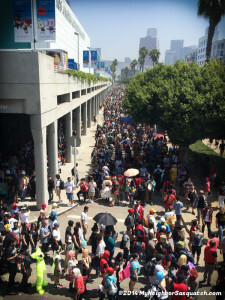 This entry was posted in Anime Expo on July 3, 2014 by sasquatch.